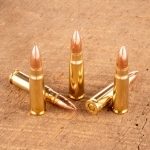 This 1,000-round case of 5.56 NATO ammunition from Prvi Partizan contains five sealed packs of 200 rounds each. These packs are ideal for easy transportation or long-term storage. 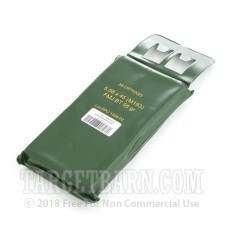 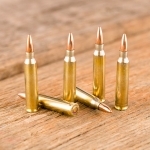 Each round in this case fires a 55 grain full metal jacket boat tailed bullet at a muzzle velocity of 3,248 feet per second; expect performance essentially identical to that of M193 ball. 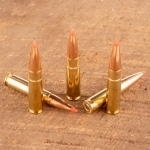 Prvi Partizan ammo is loaded in Uzice, Serbia using non-corrosive Boxer primers and reloadable brass cases. 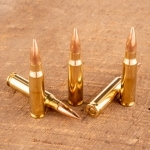 The brass used in this load is of the unpolished mil-spec variety.